I get a lot of questions and emails from people who want to know how should they choose rocks or crystals. They look online, and read articles, and they are more confused than every before. They feel like they were better off before they knew anything about using them for metaphysical purposes. 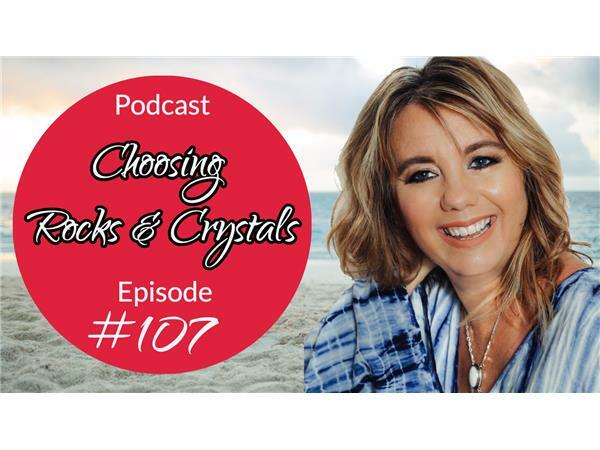 *How do I choose that particular rock or crystal? *What size should my rocks or crystals be? *Where should I get my rocks or crystals? *Should I ask if they've cleared the rocks or crystals? *Where should I put my rocks or crystals? So if you find yourself just plain confused and don't know where to start, this is a good show for you as we cover these subjects and much more!